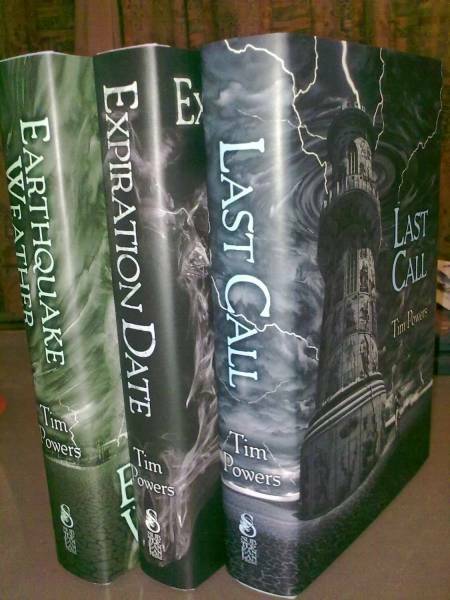 I feel that Tim Powers is a vastly underrated author. Admittedly his output is quite small (twelve novels in 34 years! 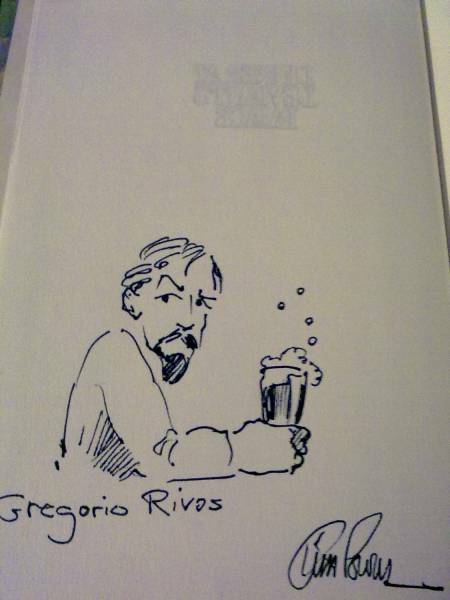 ), but he is a fantastic writer with some great and quite diverse works. 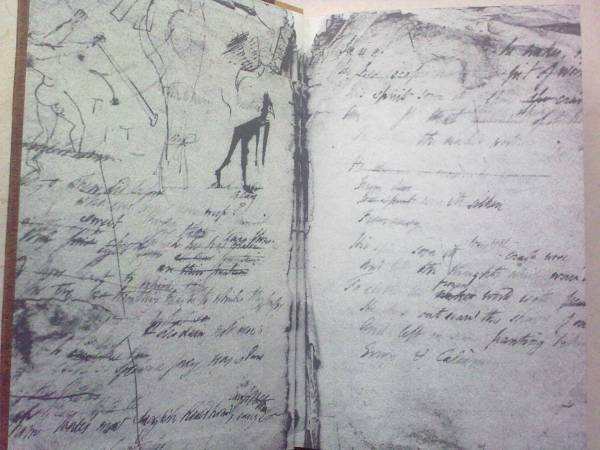 He also has a decent-sized catalogue of short stories and novellas. 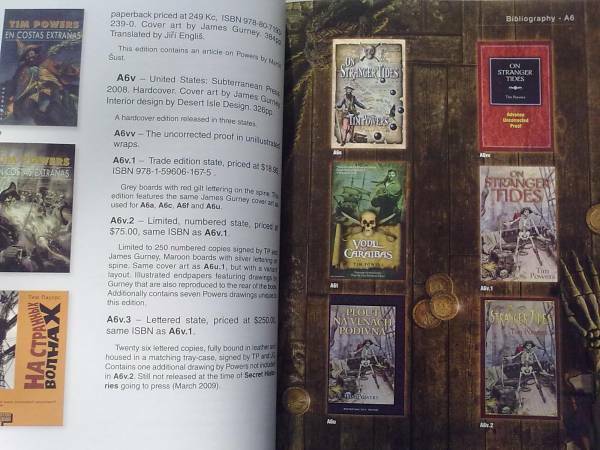 Pretty much everything he's released has ended up as small press editions with Charnel House and Subterranean Press being the main contributors. I've been digging through my Powers stuff and here's a few random items. Jeez, those photos are large! Sorry! 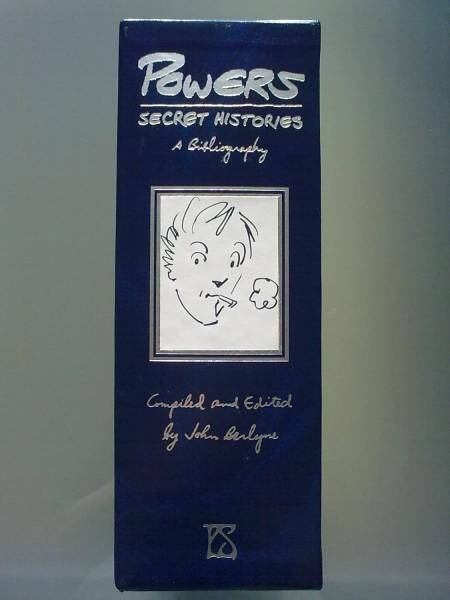 Very interesting, i've never read anything by Mr Powers but will definately be looking out for him from now on. Love all the dust jacket art too! 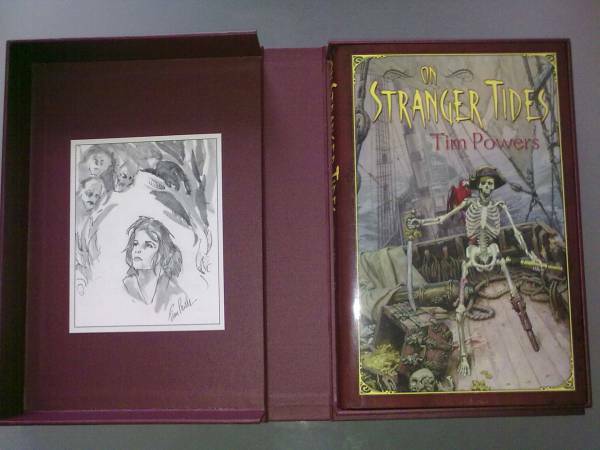 I had never heard of Tim Powers but these books look awesome! Thanks for the photos! I haven't seen some of these. Tim Powers's work is great. 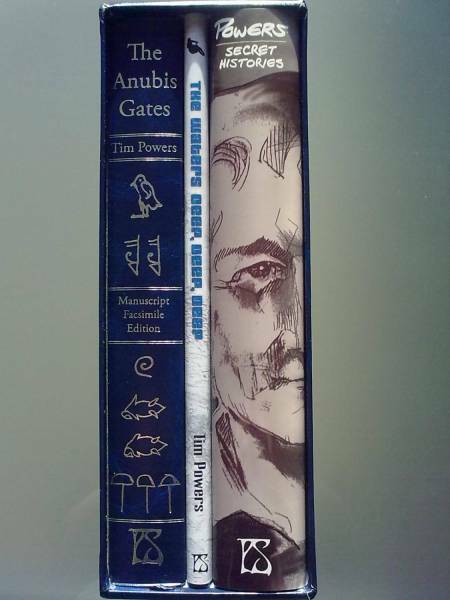 The Anubis Gates is one of my favorite novels. I'm due for a re-read. The new Pirates of the Caribbean movie is based on On Stranger Tides. I have the Babbage Press trade paperback of On Stranger Tides (along with the Subterranean Trade Hardcover). 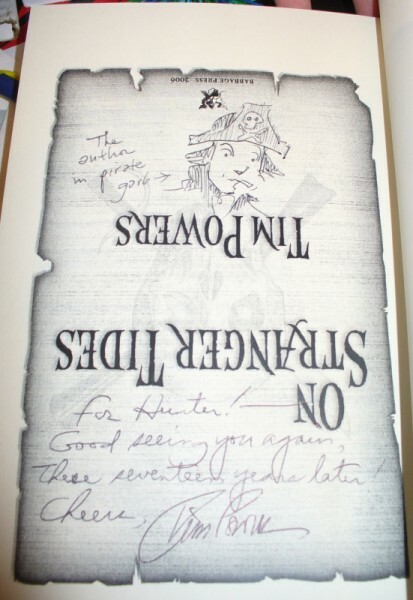 I first met Tim at the 1989 World Fantasy Convention in Seattle. 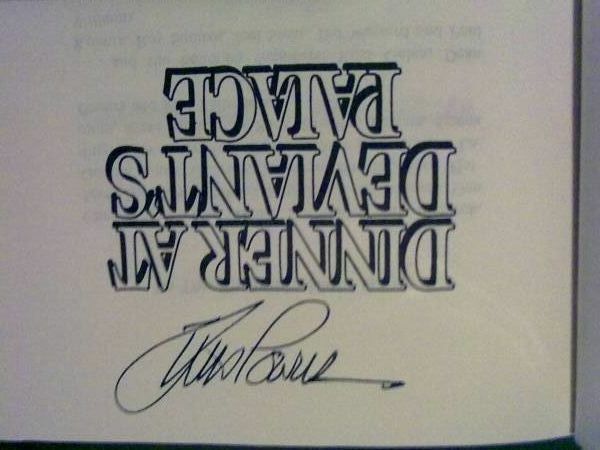 I saw him again at Hypericon in Nashville in 2006, and he signed the Babbage Press edition for me. He said that I had one of the rare ones---apparently there was a coloring problem with the cover of the first couple of dozen paperbacks that were printed. I haven't seen any others to know what's different. 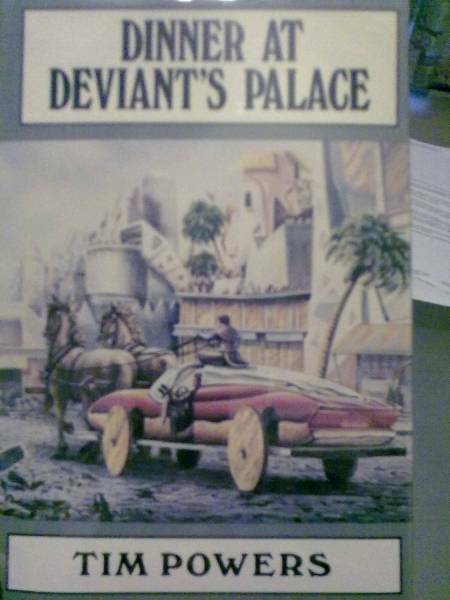 I also have the Subterrean Fisher King trilogy, but that's about it, as far as collectible Powers goes. I don't want to confirm it, but as far as I know On strager tides is not the book that inspired the new Pirates of the caribbean movie. Ah, Guybrush Threepwood - one of the greatest video game heroes ever! 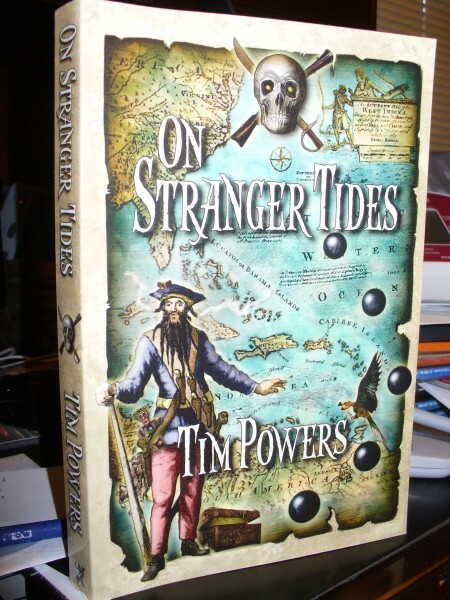 Pirates of the Caribbean: On Stranger Tides is definitely based on Tim Powers's On Stranger Tides. Here is an interview with Tim Powers about it. Who knows how closely the movie will follow the book, but it definitely takes its inspiration from Powers's novel. 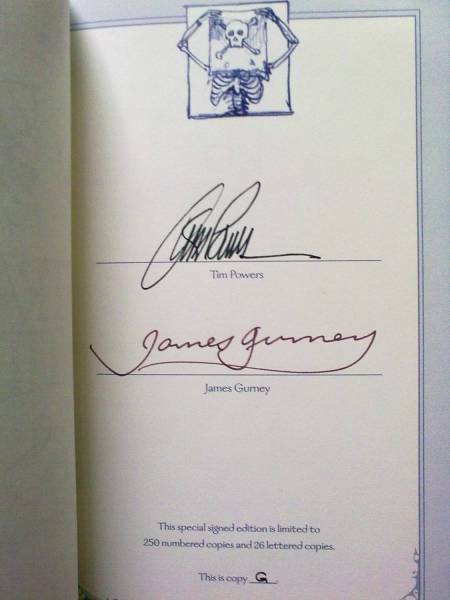 On October 7, 2009, author Tim Powers confirmed that Disney bought the rights of his novel, On Stranger Tides, in April 2007. The script was written by Ted Elliott and Terry Rossio, who wrote the whole Pirates trilogy, and Rossio has stated that they will use elements from the novel, particularly Blackbeard and the Fountain of Youth, but the film would not be a straight adaptation. Initial rumors stated the story had Jack Sparrow and Barbossa meeting up in the newly founded New Orleans, before they sail to find the Fountain of Youth together. A production spokesman confirmed the claim to be false, saying that the synopsis is different and even though location scouts visited New Orleans, production would occur in Hawaii and the United Kingdom. Gotta read it fast, then. 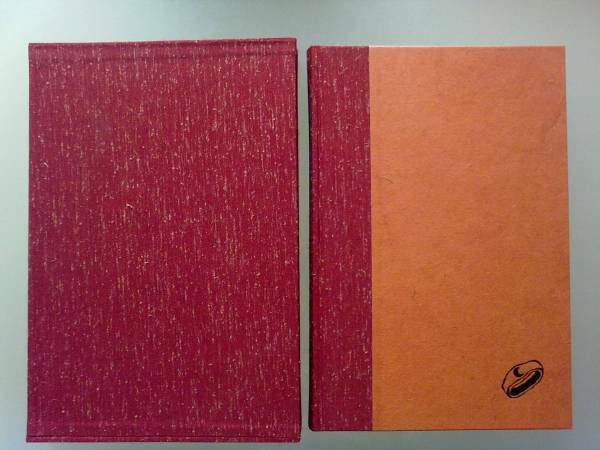 The first fifty copies in the print run of this edition have a slightly bluer tint to the cover art than the rest. Additionally a touch up to the artwork made Blackbeard's eyes slightly less wild looking! Looks like he was telling you the truth! Thanks for the info! Now that I read that, I think he did mention Blackbeard's eyes, too. 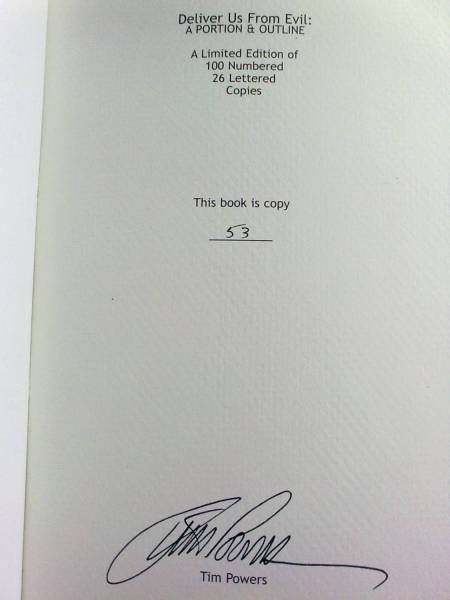 The latest Tim Powers book, published by Charnel House: Deliver Us From Evil. 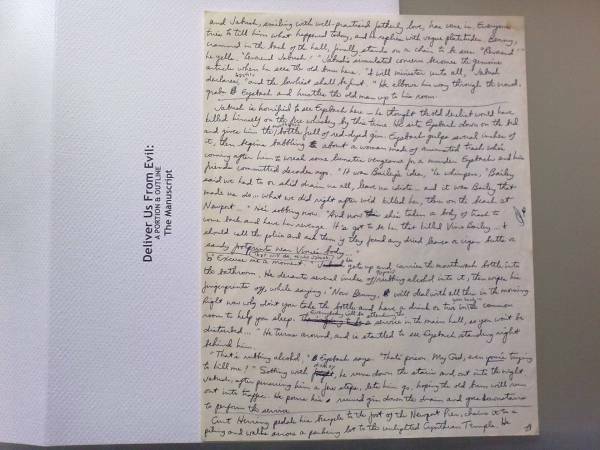 Each copy of the book comes with an original page of the hand written manuscript. I love Charnel House books. They produce some of the best books I have ever seen. Congratulations. 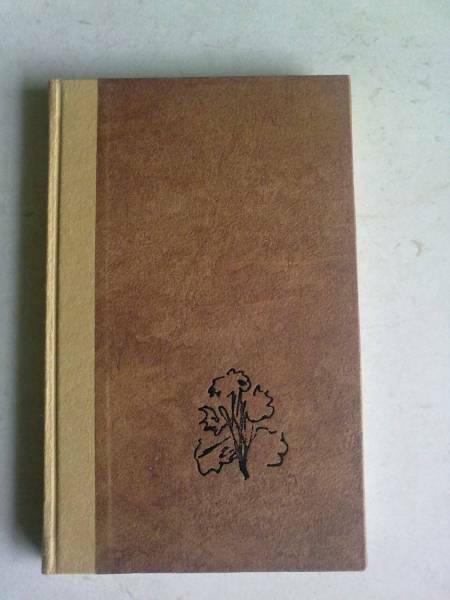 This makes me want to learn to bind books and make slipcases...! Yeah, Charnel House produce top quality work. They're expensive but you certainly get beautiful books. I hope to have an announcement here soon. 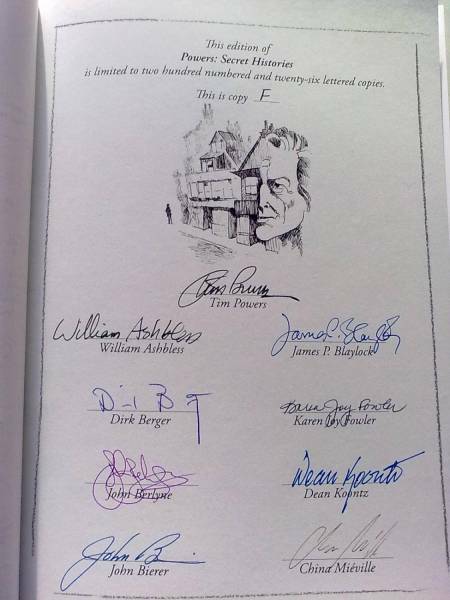 Perhaps the "Holy Grail" of Tim Powers collecting. Well, I'm intrigued! What could it be? I notice that this is crossed off your list in the 2011 Collecting Goal thread.